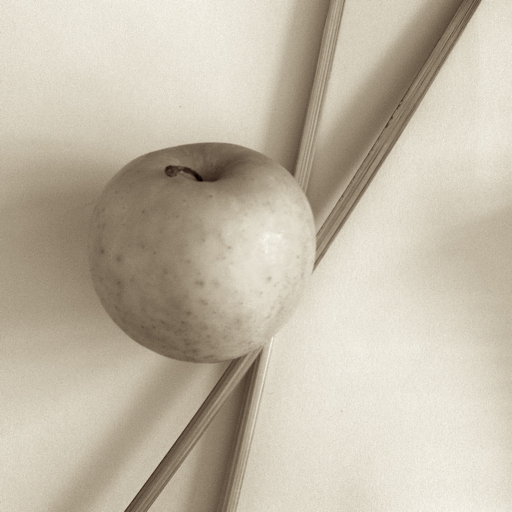 There are so many apps focused on photography and image manipulation these days. When I looked at an app last week, I saw that the developer Youthr (Yusuke Horio) had almost a dozen available in the App Store. I have downloaded some of these and I am looking through them. Although there are certain similarities, the apps have enough clear differences to make them interesting. Snapster is one of the free apps from this developer and was less easy to use initially, although once I had mastered the many features, the results were pleasing. 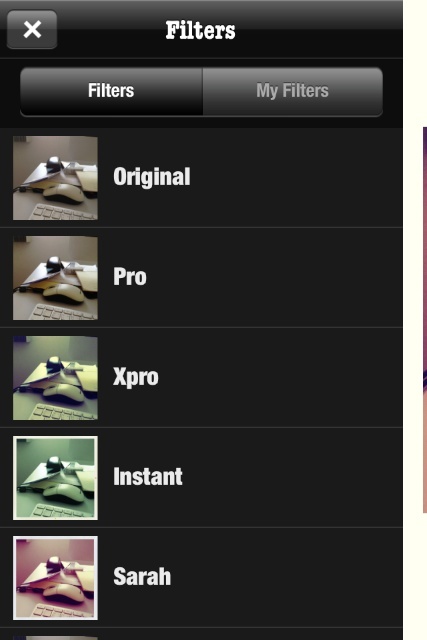 In the last few days, I have looked at ClipCrop and XProcess from Youthr. These were first released in April 2013 and July 2010 respectively. 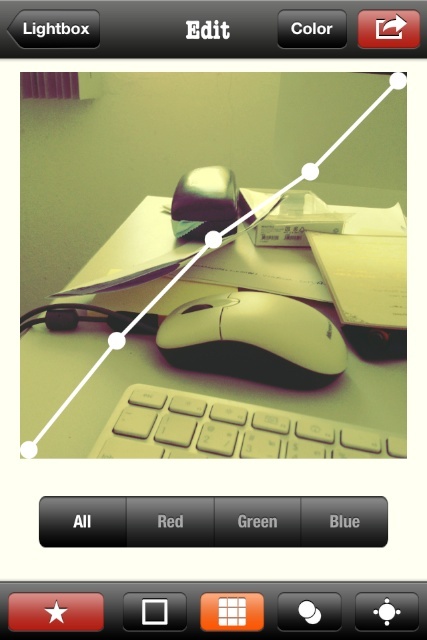 Snapster was first released in April 2012 and does not have quite the ease in handling images that those other apps do. That simplicity was a major attraction with both. However, Snapster is far more sophisticated both in capturing, handling and exporting images. The opening screen is a nice exercise in design with its clean interface. After a second or so, the screen appears to turn 90 degrees and a working panel is shown. Most of the panel is taken up with a square display of the scene viewed by the camera. Within that display are ON/OFF/AUTO controls for flash and an icon to reverse the camera, so that a picture of the user can be taken. To the bottom left of the display is the term, High-Res. Tapping on that will cycle through options (650 x 650, 800 x 800, 1024 x 1024). 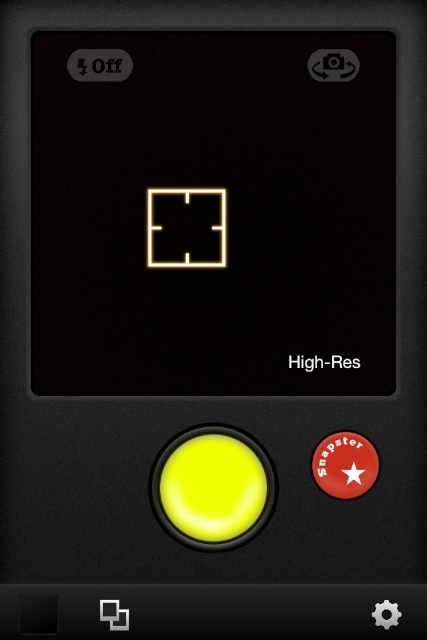 Tapping elsewhere on the screen brings up a square to define the area of focus. Tapping the screen with a second finger reveals a small ring icon, like a lens aperture. This allows the exposure to be adjusted: an unusual feature, especially on a free app. 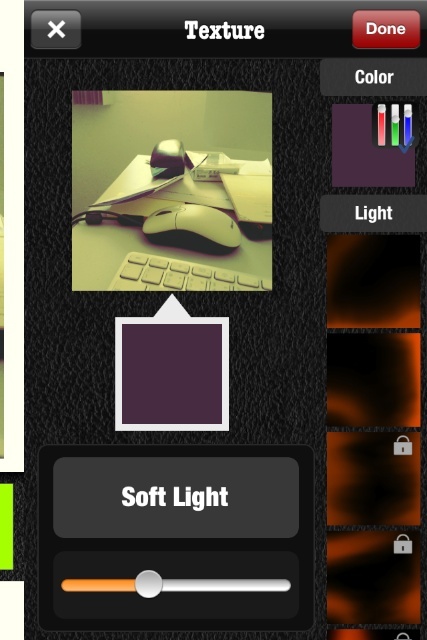 At the bottom of the screen are three controls: a link to the Lightbox (the photo library for Snapster), with a maximum of 100 images; a file icon to import an image from the library; and a gear icon for settings. Apart from links to other apps and the version number (1.2.0) the main setting here is to turn On or Off GPS embedding. If this is turned on, the app needs confirmation. Above these controls (below the camera display) the screen is dominated by a yellow button: the shutter. 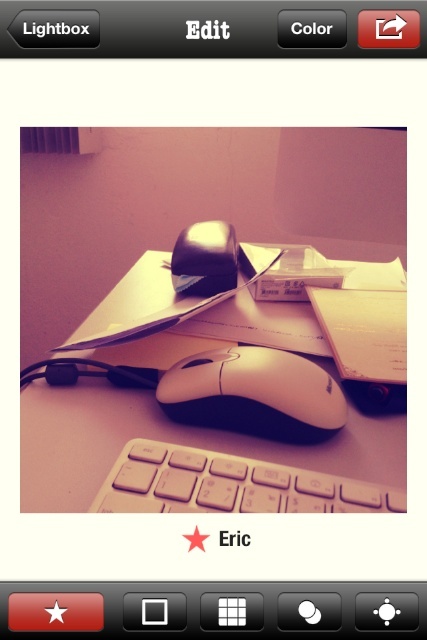 To the right of this is a red button that accesses a number of filters that are available. Selecting and pressing the shutter takes a photograph with that filter pre-applied. The original image is not saved in the iPhone Photo Album, however it may be viewed within the app and saved/exported. 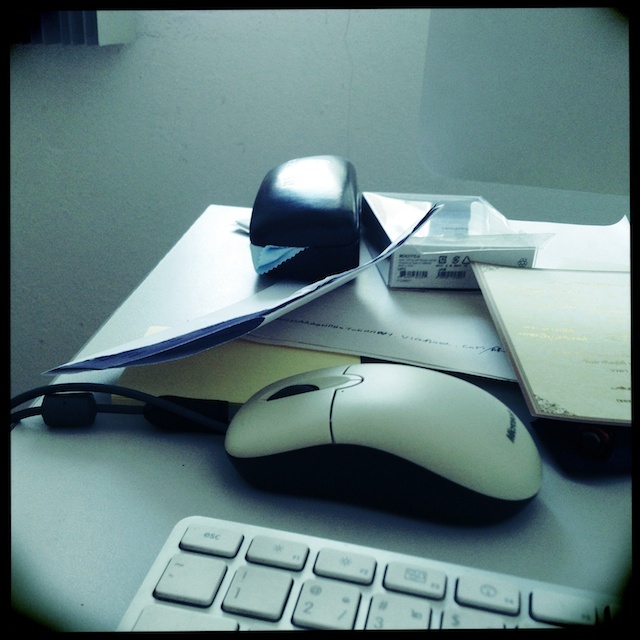 With editing things can be a touch complex as there are two ways to work on images: the direct use of a filter with a photograph (above), or a more dense process by working with any image in the library. The Edit panel has 4 controls at the top: Lightbox, to take a user back to the libary; a button to toggle between Color or Black & White; and an Export icon. As with other parts of the app, this Export has just a little more than the usual app. 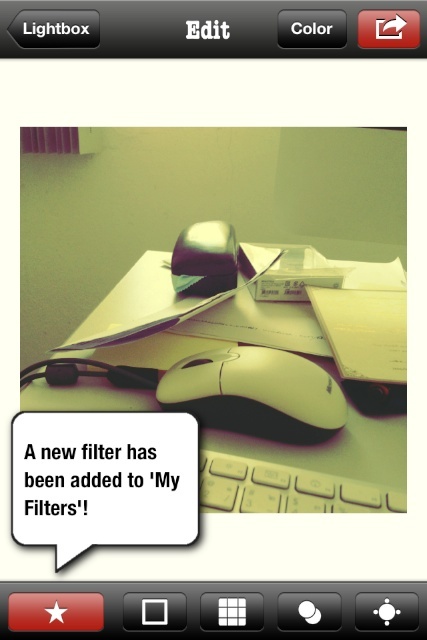 As well as Save Photo, there is also Save Filter, so a user may change filter settings and keep the new output type; Share will send an image to Facebook, Flickr, Picasa, Tumblr, Twitter, or export via email; an image may also be opened in Instagram or in Other apps, depending on which the user has installed. When using the "Other Apps" (or certain other save options) the user is prompted to select a size, from Small (820 x 820) to Actual Size (2448 x 2448). Depending on the size, saving may take a few seconds. Before saving an image, however, the user may want to apply certain editing changes to the image and there is a rich selection of options. The bottom of the Edit panel is dominated by a red star icon to the left. Pressing this reveals a selection of some 43 filters (plus Original), although some of these are locked. Also available are four other options, accessible via icons at the bottom of the screen. The first of these is frames. There are 22 shown, but some are locked. A grid icon next to Frames reveals an unusual Curves option. Users may adjust levels using All, as well as Red, Green and Blue separately. Alongside Curves, is a fairly complex Textures option. Pressing one of the color boxes shown reveals a panel with several adjusters and light source types. Pressing a color control opens a panel with slider to adjust levels in several ways; while pressing a box near the bottom reveals a scrollwheel that allows changes to the intensity of the image (e.g. luminosity, color burn, color dodge, multiply, et al). When one of these is selected, the choice will be shown on the panel above the slider which is then used to increase or decrease the selected effect. The final icon at the bottom is for brightness and is a comparatively simple slider control. When the image is edited to the user's requirements, it can be saved or exported and if needed again, the filter itself (the specific settings) can be saved as well. Unlike the other apps from Youthr that I have looked at so far, I did not find Snapster as easy to use initially, particularly in the "click, adjust, save" way that many users will be used to (or demand). However, the app has a considerable number of strengths once it is learned. The extra filters and effects may be added with a Snapster+ in-app purchase of $1.99 although the app as it comes (free, no less) is already comparatively powerful. In several ways, from input via the camera, to editing and exporting, Snapster has more adjustability than many apps I have seen, allowing the user a high level of control over the workflow. For those who like "point, squirt, filter, export" types of apps, this may be too much, although these basic actions can be done. 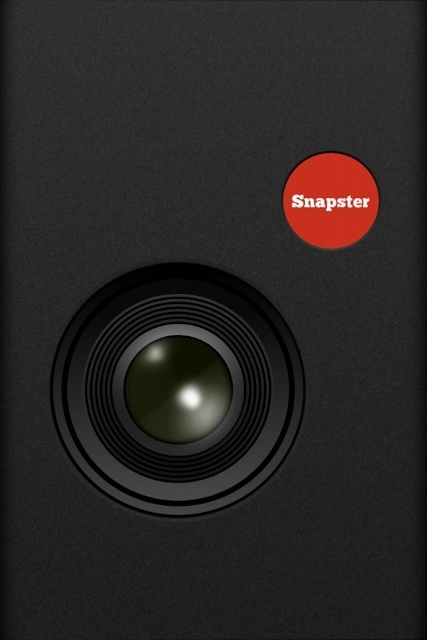 For those who like a little more sophistication with the way their photography apps can be controlled and used, Snapster has so much to offer, especially at its price. It is free.